“Nothing good is given for free” is an old liner that unfortunately has had perfect implications in gaming’s recent history. However with World Of Tanks upcoming console update, this reality might once again shift gears for the better. 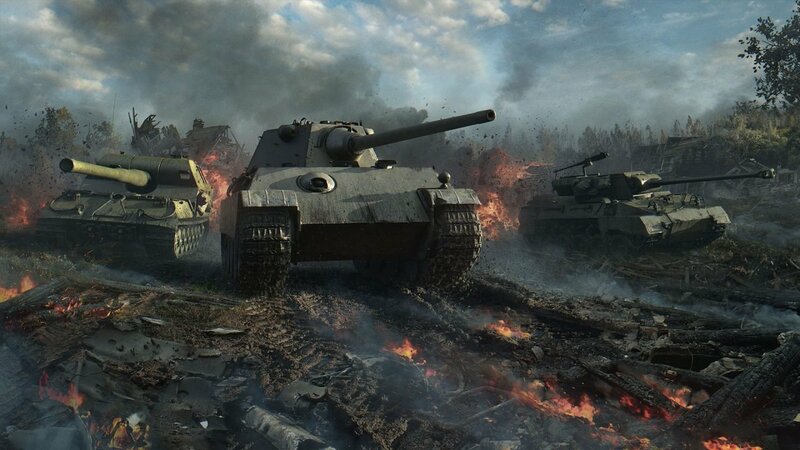 With more than 14 million players worldwide, World of Tanks has been notorious for constant updates, but according to World of Tanks’ developer, this will to be the “most ambitious instalment” Leaving a certain hype to be fulfilled. Told in three chapters from the perspectives of an American, Soviet, and German soldier, World of Tanks‘ “Spoils of War” adds on to World of Tanks: War Stories. This specific update aims to capture the essence of an alternative history World War II, with the conflict going on indefinitely pushing well past the historical end date of Sep 2, 1945. Taking place in 1948 The free update will include three main chapters and will have players follow their conscience and moral obligations, even if that should put them in direct opposition to orders. “Adding over fifteen hours of free singleplayer and co-op tank warfare in historical and alternate history settings” it should be a treat for anyone looking for single player content from World of Tanks. Unfortunately for those who play World of Tanks on their high-power gaming PCs, this latest update is console exclusive, being brought solely to: Xbox 360, Xbox One, and PlayStation 4 on Tuesday, April 3, 2018. World of Tanks is a free to play war simulation, focusing its efforts on realistic tank battles. World of Tanks is currently available on Steam, and in its console upgraded version named World of Tanks: Console. Liked this article and want to read more like it? Check out Pedro D’avila’s latest review of Roguelands, and his findings on the Game Developers Choice 2018 awards!